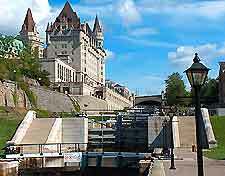 Distant view of the city's riverfront skyline. 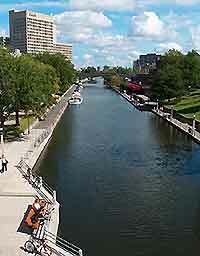 View of the Rideau Canal, offering scenic walking trails and ice skating during the winter months. 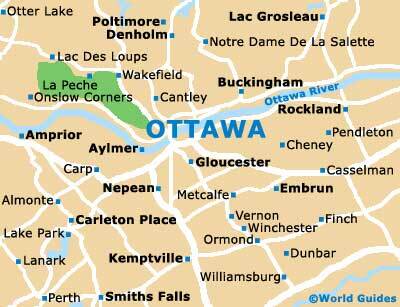 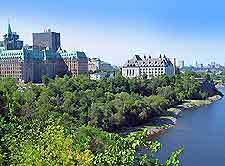 Walking trail alongside the Rideau Canal. 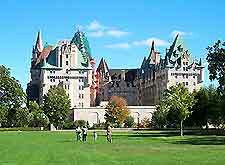 Major's Hill Park, the city's most historic public parkland, founded in the 1870s. 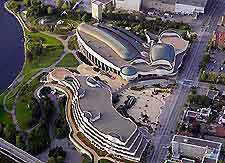 Aerial view of the Canadian Museum of Civilization, located in nearby Hull. 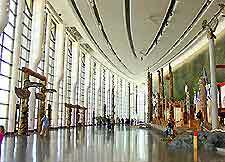 Interior view of the Canadian Museum of Civilization, which features an array of exhibitions, local artifacts, arts and crafts, an IMAX theater and further museums. 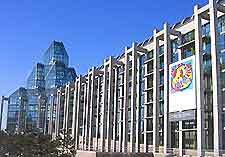 View of the National Gallery of Canada, home to many striking works of art by famous artists from around the world. 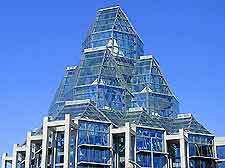 Close-up view of the notable glass architecture at the National Gallery of Canada. 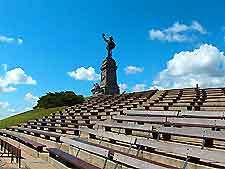 Nepean Point, an impressive lookout area, offering superb city views and featuring the Samuel de Champlain statue. 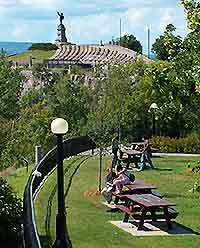 The Nepean Point's outdoor Astrolabe Theater, which hosts a range of outdoor performances and concerts throughout the year. 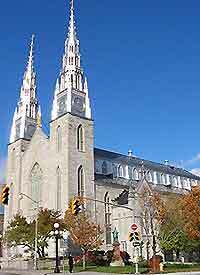 The Notre Dame Basilica, a magnificent cathedral with twin spires, built in the mid-19th century. 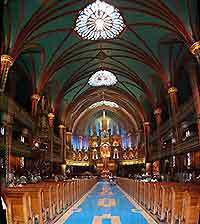 Elaborate interior view of the Notre Dame Basilica, which features tremendous attention to detail.